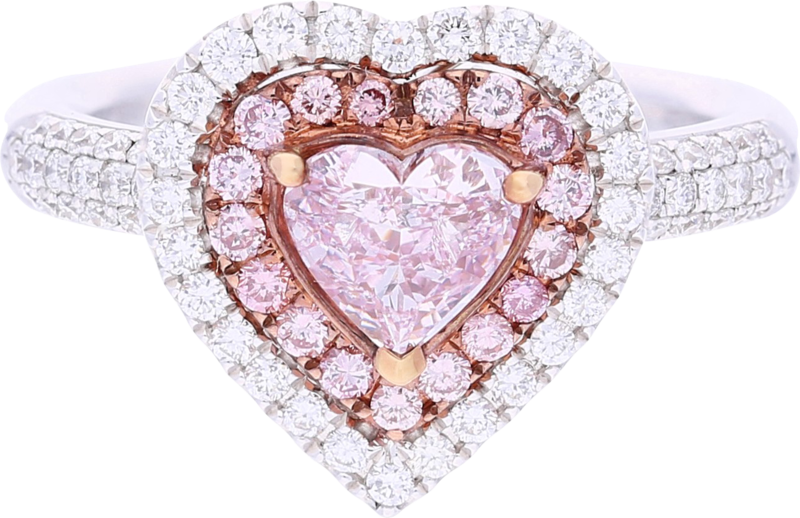 With immense passion radiating through its pink hue, the Amour Ring is a true spectacle. 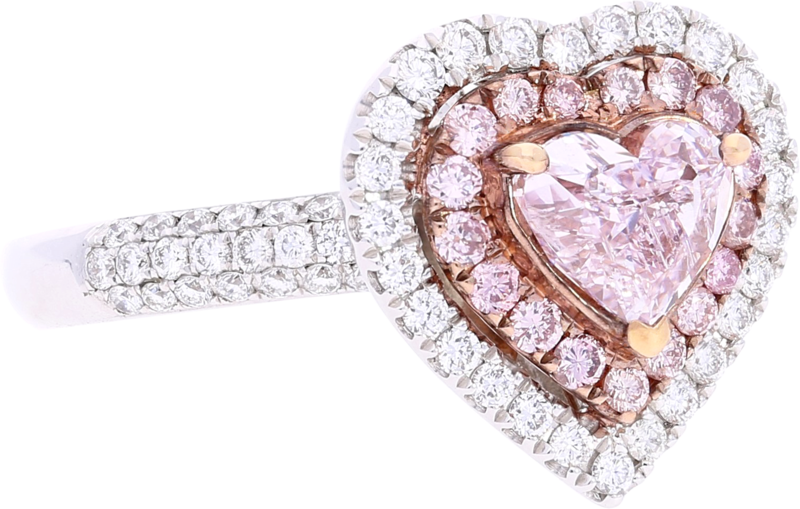 The ring fittingly holds a 0.74 carat heart-shape fancy purplish pink diamond at the heart of the ring, is framed by pink and round-brilliant cut diamonds totaling 0.63 carats, and is set in 18k whie gold. 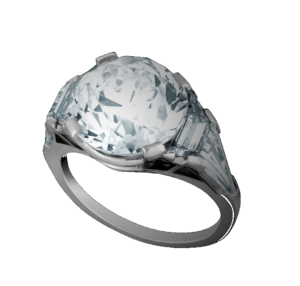 The ring is also one of our treasures that represent love, one of our prevailing themes. 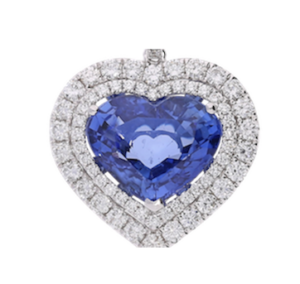 -This diamond is classified by GIA to be of “fancy purplish-pink” color and “SI1” clarity.